Nutrition is the balance of nutrients that we eat, opposed to our bodies requirements for them. It is important to maintain this balance. 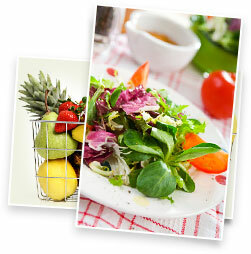 When you think about all the benefits of good nutrition, it is easy to eat healthfully to stay healthy. Our diet should be a high priority for us all. Daily calcium, such as milk or other dairy products should be consumed daily. Healthy bones can help avoid many bone conditions that can arise later in life by not giving our bodies the calcium we require throughout life. There are numerous benefits of good nutrition. It can help maintain an ideal weight, which is essential for our spine to function well over our lifetime. Other benefits of good nutrition and healthy eating are to reduce our daily intake of fats and sugars so we can maximize our daily energy levels. By reducing our fat intake, we can sustain our energy levels better. Fats are quite slow to digest and don’t provide a steady balance of energy to our body. Fluctuations of our blood sugar levels can make us feel tired at times. There are many other benefits of a controlled and balanced diet. Nutritional advice is all part of the overall treatment plan of Chiropractic care at Gardenvale Spinal and Sports Injuries Clinic with Dr Cori Hawtin who has Bachelor in Science with Honours in Nutrition. Feel free to ask for nutritional advice on your next check-up for a healthier lifestyle. Maintaining a balance of good nutrition just simply makes us feel better each day.